2019 E350 has a new engine: 2.0 Liter inline 4 cylinder turbo with the new EQ Boost. This engine produces 295 Horsepower plus 13 HP from the EQ Boost. The combined horsepower is 308, which is incredible for just a 4 cylinder engine! That’s 67 HP more than in the previous 2018 E300 model. Acceleration from 0 to 60 mph is 5.8 seconds. 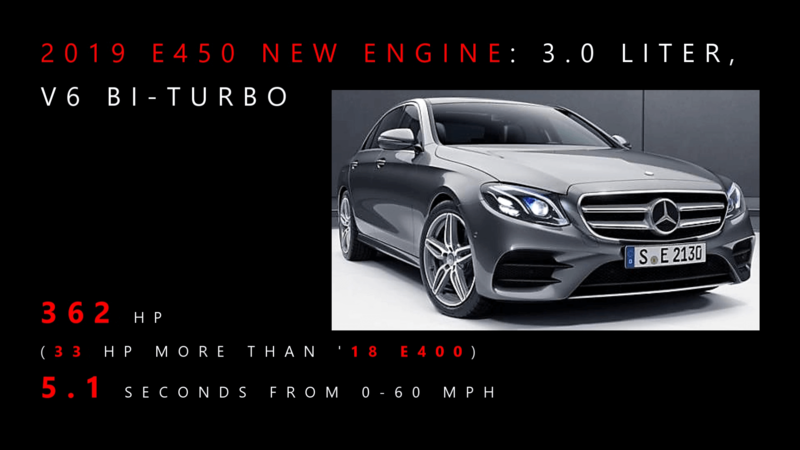 It is 0.4 sec faster than 2018 E300 model Mercedes. If you get E350 4 Matic, than it is 5.6 sec and therefore 0.6 seconds faster than 2018 Mercedes. 2019 E450 sedan also acquires a new engine: 3.0 liter, V6 Bi-Turbo. 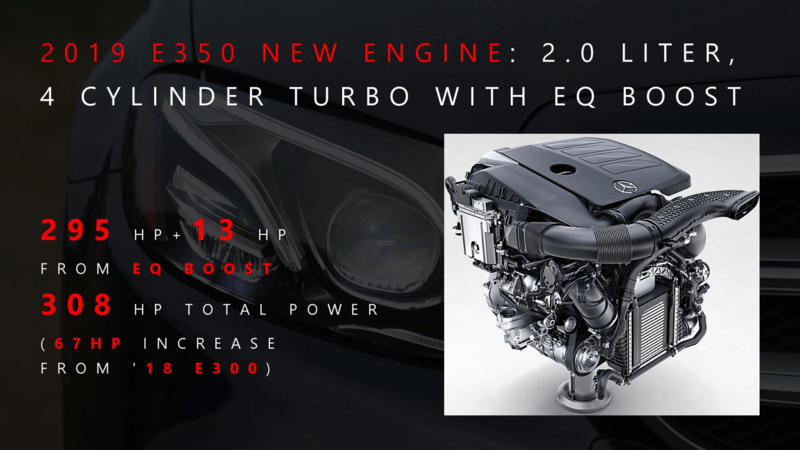 This engine outputs 362 HP, which is 33 HP more than previous 2018 E400 model. Acceleration is 5.1 seconds from 0 to 60 mph. 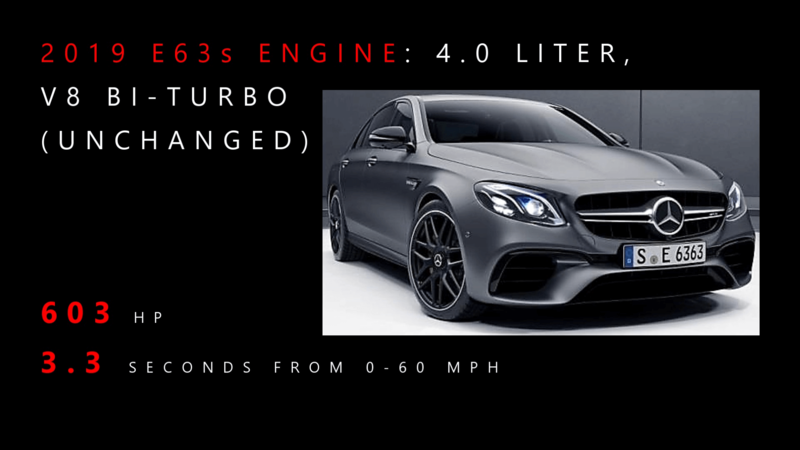 2019 Mercedes-Benz E63s has the same engine as in 2018 and remains unchanged: 603 Horsepower and 3.3 seconds from 0 to 60 mph. All new E-Class models get the new generation steering wheel with buttons. In 2019 model the new Rear Safety package is available and includes rear side-bags and belt airbags. Other new feature is Brown Ash Wood Trim. This video used some Daimler AG footage for an editorial purpose. 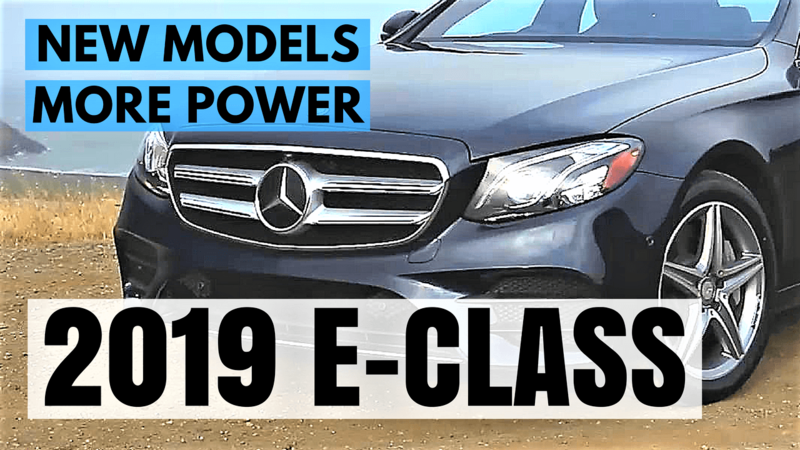 CategoriesREVIEWS, SHOPPING GUIDE Tags2019, 4-Door, AMG, Changes, E350, E450, E63s, Exterior, Interior, Mercedes-Benz, Model, Package, Review, Updates, What's new? 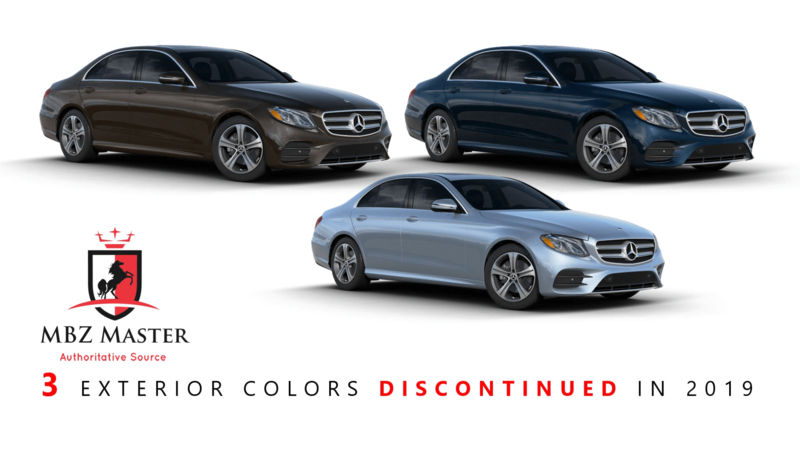 Does this mean E300 will be discontinued as of 2019?? It’s basically just a renaming of the same model, with all the changes that is explained in that video. So no more E300 name. All the information is based on U.S. market and may slightly differ in all other countries. Will the 2019 E Class 400 wagon get the improved Drive Pilot/Intelligent Drive from the 2018 S Class. If the 2019 E Class gets the new steering wheel, that suggests it will also get the improved Drive Pilot. Yes, 2019 E-Class Driver Assist package will be enhanced with “Route-Based Speed Adaptation”, where the vehicle is now able to reduce the speed in anticipatory mode by referencing the COMAND map data ahead of bends, junctions, roundabouts, toll booths and exit roads. Also “Active Steering Assist” functions at a wider range of speeds and can now actively intervene even if road lines are unclear or non-existent at certain speeds; can now function in curves with a tighter radius. And some other small improvements like in S-Class. Price and release date for e450 euro-delivery? Prices are not released yet, but should be very similar to 2018 E400’s, as I don’t expect any big price surges. Release date of a Coupe and Cabriolet will be around July, but Sedan and Wagon should be released closer to September. Thank you for the information. I am looking for the Euro delivery E450 sedan. August pickup in Sinfelfingen if possible. Any updated info on price or release date? 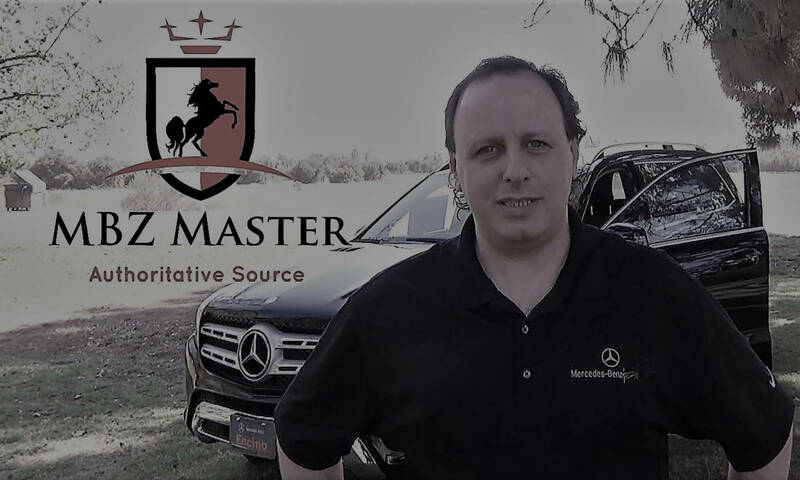 Yes, the price will be $1,050 more than the current 2018 E400, but considering some improvements including the newer powertrain, I think 2019 E450 is much better car and better deal. The new E450 will be released somewhere between July and September. You can arrange the European delivery simply by visiting your local MB dealership and coordinate the date and the discount..
will the 2019 E Class offer touch screen? Most touch screen Navi system will not let you enter info while you drive. Mercedes-Benz offers a touch pad in the middle console, so instead of extending your hand to touch the screen, you can touch the touch-pad..and I guess it’s safer and easier. But I would recommend to simply use voice control, which is standard on every E-Class. It has ability to learn your intonation or accent..
Will They now add the MBUX system ? Not for 2019 models, but MBUX is expected for 2020 models. 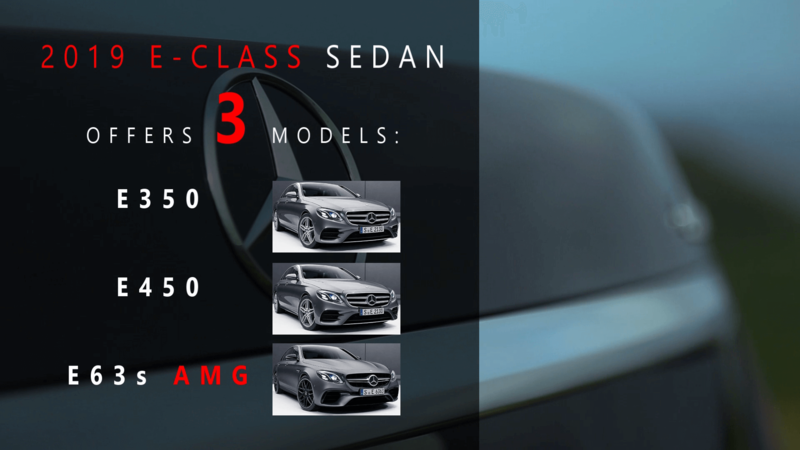 Still E-Class has one of the most advanced COMAND systems in the entire MB lineup.. If tariffs are raised on imported e450’s, will I be affected regarding a September euro pickup ? Once you place an order and make a deal with the dealer regarding the European delivery (including the purchasing, financing or leasing)- your price is set. The price will not change, because you will sign all the numbers on the contract. You are actually buying this car locally from your dealer, not from Europe. You’re just picking up your car in Europe, but the whole transaction is local. So you are paying only your local taxes and fees.. you’re not paying any global changes in tariffs and any other economical changes shouldn’t affect your agreed price on the paper that you’re signing. My MB dealer has not been notified about price and availability of the 2019 e450 for euro delivery. Any info on build date or good source for info would be appreciated. Where did you get the $1050 increase info ? Sorry I was on vacation and didn’t see this comment. This new pricing info was available for over a month or so, but the ordering has to be matched to your dealer allocation and availability of their ordering inventory. Any word on launch date for 2019 e450 sedan? My local dealer has no information and MB customer service is not helpful. Will only advise that build is taking place now. They will not confirm price or if euro delivery pick up will be sooner than US availability. Any info will br appreciated, hard to make euro plans with no data. I’m surprised that your dealer isn’t helpful, but you can always contact the next nearest MB dealership or call them. 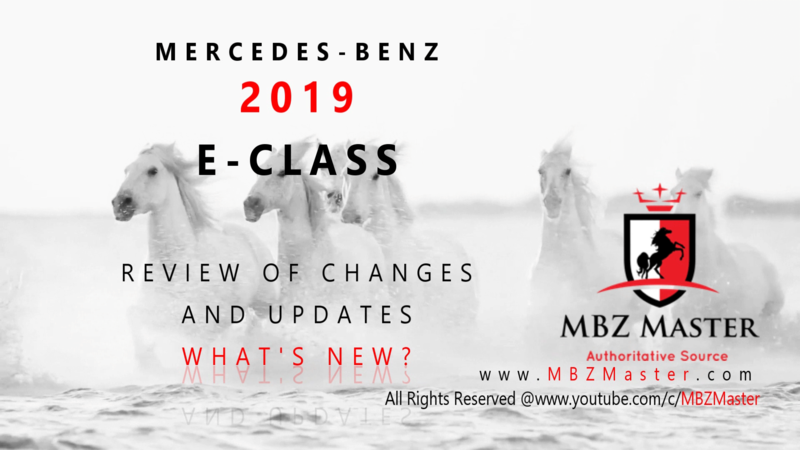 All the info for 2019 E450 is available and has been available for a while now. Starting MSRP $59,950 + options. You can also ask them to show the “Dealer Ordering Guide”, as it has all the info that you need. However I don’t think you can make a European delivery, before the actual release date, which I would expect before the end of this month, or maybe the beginning of next. I was starting to think this was not going to happen this year. If the release date is around September 1. Do you think I will be able to pick up a car in Sindelfingen by early October or late September? I like more the trapezoid exhaust for the new E53. It goes more with the car and it can be sporty too as in the E63. When the e 53 is going to be available in the US? You should be able to order 2019 E53 AMG by now, because all the options and pricing has been released already. Previous PostPrevious How to Use Waze on Mercedes-Benz Full Demo! Next PostNext 2019 Mercedes C43 AMG Review of Changes: What’s New and Updates!